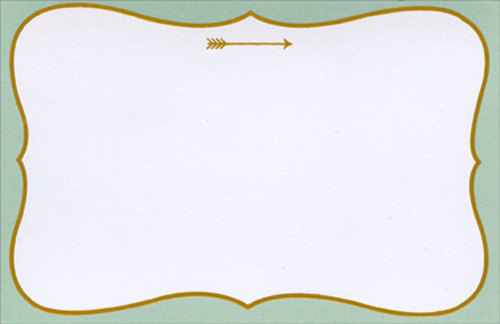 This note card design features a light blue border and interior gold foil frame that surrounds a bright white section that is perfect for writing. 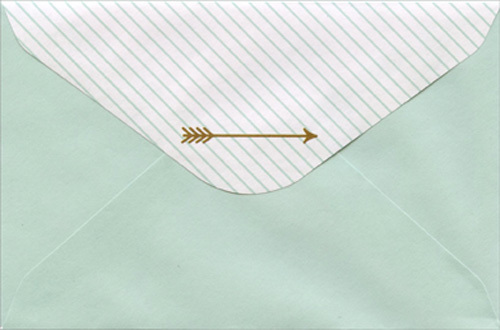 A simple gold foil arrow completes the design. 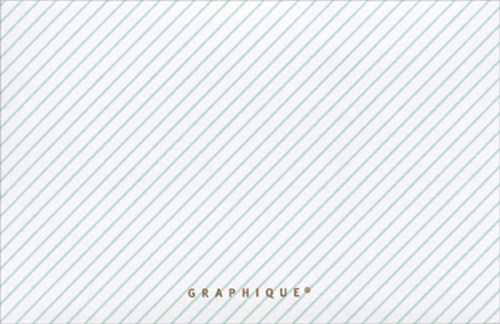 This Graphique de France flat note card set contains 50 flat note cards and 50 coordinating envelopes in a box measuring 6.25x4x2.5 inches. 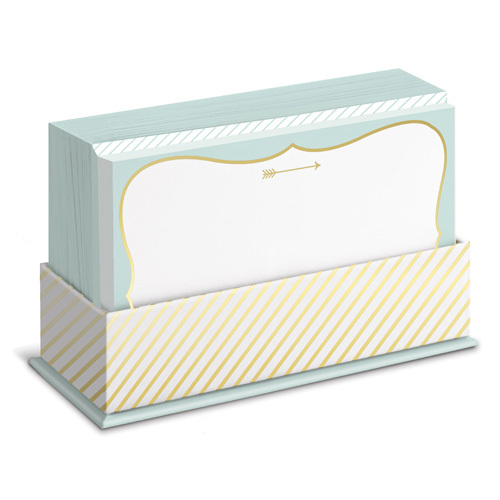 Each note card measures 3.5x5.5 inches.